The virtual classroom is not a one-size-fits-all teaching environment. Not all content should be taught in this format. Unfortunately, we’ve seen a lot of content force fit, resulting in bad training. The virtual classroom introduces a variety of techniques that potentially can engage learners. But not all engagement is created equal, and not every type of activity is appropriate all of the time. In my February 2015 Virtually There column in Training Magazine online, I discussed the how Adult Learning Theory relates to virtual and blended learning. Ultimately, the learner is the arbiter of what’s important to him or her. Blended and virtual learning make it easy for the learner to make decisions about when to engage or disengage. It’s the job of the training professional to ensure that the adult learner is motivated to participate. When content starting to be delivered in the virtual classroom, there was a tendency to eliminate facilitator and participant guides altogether, and rely on PowerPoint slides as the sole set of materials for both teaching and learning. This causes some quality problems. Without documented activity instructions and instructional prompts, facilitators tend to lecture more than is appropriate and minimize opportunities for learners to participate. Learners then tend to rely on slides for all of the content. 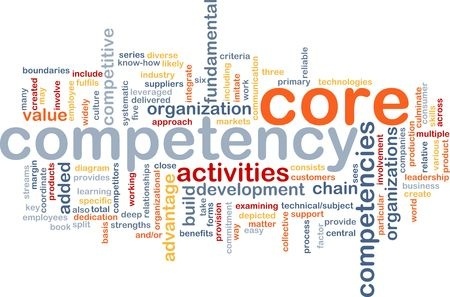 However, without the ability to take notes in context and access to a deeper level of information, learners may not master the content as fully as they would with the participant guide designed to enhance the experience. This article originally appeared in Training Magazine Online on March 20, 2015 in the column "Virtually There." Interested in learning more about designing for the virtual classroom and earning your Virtual Classroom Instructional Designer Badge? 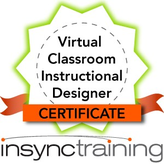 Check out our Virtual Classroom Instructional Designer Certificate (formerly Synchronous Design Certificate) course by clicking on the graphic below.